One of the benefits of being part of NNSTOY is that State Teachers of the Year and Finalists sometimes get to share our expertise with policymakers who really want to hear what we have to say. Recently, Kimberly Worthy (Washington, DC 2009) and I attended a Tea with Teachers at the U.S. Department of Education, where we and other educators talked about school discipline with Secretary John King. As the only teacher from a rural area, I felt a bit like I came from the other side of the tracks. Not the wrong side, but definitely a different one. Hearing the perspectives of educators from urban and suburban settings was downright eye opening for this country gal. My city colleagues showed a great deal of concern for young African American males, who are in short supply in my Virginia district. Many expressed the need for students to have positive role models and feel safe. I was a little taken aback when I heard teachers share that their students wear ankle bracelets and go home through (and sometimes to) negative environments when they leave school grounds. The teachers said these troubled environments often lead to poor decisions. Several teachers spoke about how they teach etiquette and how youth should interact with adults. One teacher gives ten to fifteen minutes in his homeroom each day for students to share and vent. Some of his students recently shared that they had been arrested the night before. When the teacher asked his students what they did to be arrested, they said, “Nothing.” They ran from the police when they saw them, yet they had done nothing wrong. As a teacher, I know that class size can have an enormous effect on discipline. My grandparents were teachers in Virginia for forty years. When I talked to my father about our discipline discussion, he reminded me that they always advised lowering the student-to-teacher ratio to improve the quality of education for students. Indeed, the teachers in the Secretary’s conference room maligned their huge class sizes and identified this as part of the problem. One of my favorite parts of the conversation was at the conclusion when Secretary King said, “There’s discipline and then there’s discipline with love.” His words reminded me of one of my former principals whom I greatly respect. She knew that everyone in the education profession needs to learn how to make connections with students and maintain positive interactions. In other words, teach kindness on a daily basis and model behaviors we want our students to display. We may come from different sides of the tracks, but really we are all in this together. 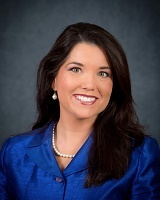 Jaclyn Roller Ryan is the 2015 Virginia State Teacher of the Year. She teaches at Signal Knob Middle School in Strasburg, Virginia.